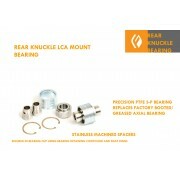 These are OE replacement bearings that will eliminate the need to replace the entire spindle /knuckle with a dealer part. 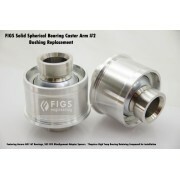 As any vehicle ages, these bearings eventually wear out or tear boots allowing in contaminants. 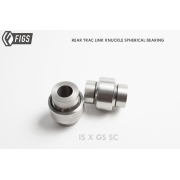 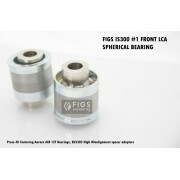 Our bearing replacments use high quality teflon-lined bearings. 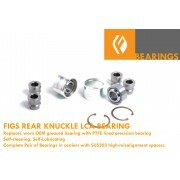 These Spherical Bearings not only replace the worn problematic #2 Caster Arm bushing up ..